It's the first day of November. The change of the calendar reminds me that Thanksgiving in the United States isn't too far away now. Over the years I've collected some resources for teaching about Thanksgiving. Here are the ones that I like best. I'll be adding more to this list as the month goes on. You Are the Historian: Investigating the First Thanksgiving is an interactive exploration of the facts and myths associated with the story of the First Thanksgiving. Students can explore the facts and myths through the eyes of a Native American child or through the eyes of a female Pilgrim. Through the eyes of each character students discover the culture of giving thanks in the Native American and English cultures. My favorite part of the investigation is "The Path to 1621" in which students hear the perspectives of Native Americans and Pilgrims about events prior to 1621. Voyage on the Mayflower is a nice resource produced by Scholastic. Voyage on the Mayflower has two parts for students to explore. The first part is an interactive map of the journey across the Atlantic Ocean. Students can click on placemarks on the map to read and hear about the journey. The second part of the Voyage on the Mayflower takes students "inside" the Mayflower to see and hear about the parts of the ship. The First Thanksgiving: Daily Life is another online activity produced by Scholastic. Daily Life is comparison of the lifestyles of the Pilgrims and the Wampanoag. Students can click through each aspect of daily life to see a comparison of housing, clothing, food, chores, school, and games. The Year We Had Two Thanksgivings tells the story of Thanksgiving 1939. 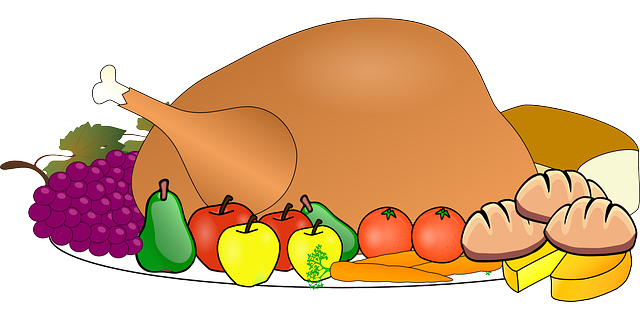 In 1939 Thanksgiving was going to fall on the last day of November which caused merchants to be worried about a shortened shopping season. In response to this concern President Roosevelt proclaimed that Thanksgiving would be moved up one week. Some states chose to ignore this proclamation and celebrate Thanksgiving on the last day of the month anyway. The conflict was finally resolved in 1941 when Congress passed a law stating that Thanksgiving would always be celebrated on the fourth Thursday of the month. The Year We Had Two Thanksgivings is supported by ten primary source documents. Included in those documents are letters from merchants appealing to FDR to change the day of Thanksgiving and letters opposing the change. When Is Thanksgiving? Colonizing America is an episode in John Green's Crash Course on US History. The video starts with the history of Jamestown before moving onto Plymouth. Green does a good job of illustrating the differences between why and how each colony was established. This is video is suitable for high school students, but Green's use of sarcasm (which I actually like) and the details would probably be lost on middle school students.